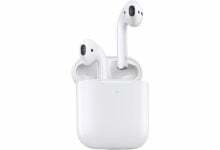 Facebook Messenger has become one of the most used apps for text messaging, sharing information, sharing pictures and videos and even video calling. Most of the people are in the habit of using Facebook through their phone. The Facebook App and Facebook Messenger are two different applications downloaded on the phone for an entirely different purpose. 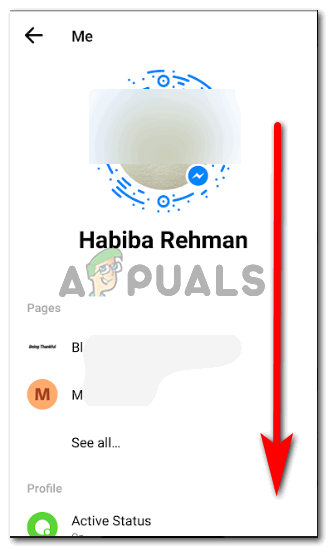 Facebook Messenger, is used for chatting purposes and if you have to send someone a message, you can do that through this application. While on the other hand, the app for Facebook is just for you to enjoy social networking through comments, shares, and likes. Facebook Messenger, is the ‘chat’ feature when you open Facebook from your computer. 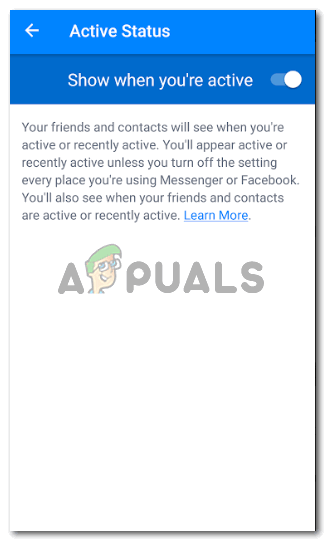 Sometimes, when daily users of Facebook don’t want to be seen online or active on their chats through the Messenger, they can become invisible. For this, they will have to follow the steps mentioned below. 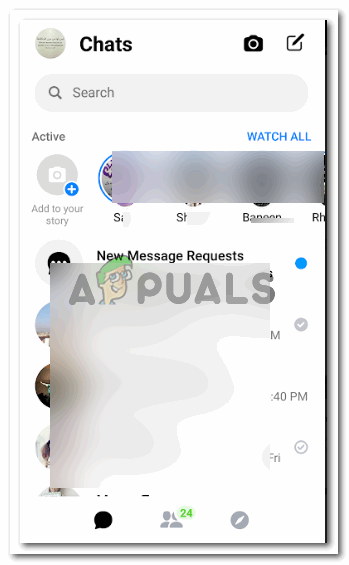 The process differs for accessing the chat on a desktop and accessing it through the phone application, that is, Facebook Messenger. When you sign in to your Facebook account from a desktop or a browser, your ‘Facebook Chat’ is active by default. You can, however, turn this off if you want to. Here is how to go about it. This is how your chat appears on the screen when you sign in to your Facebook account from a desktop or a laptop. 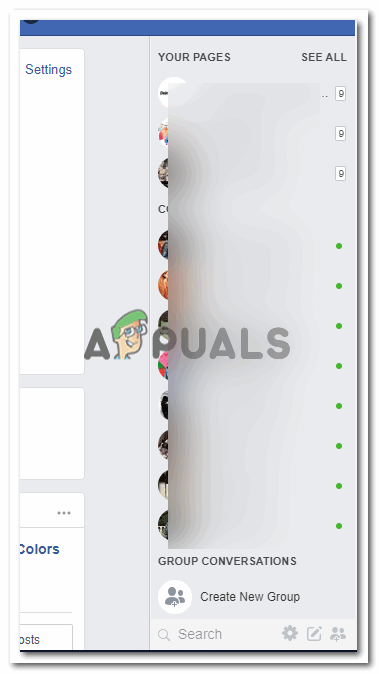 Since you are online/active on your chat for Facebook, you can see all your friends who are currently online, denoted by the green circles in front of their names as shown in this image. 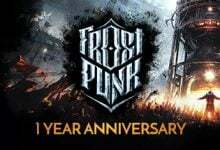 See the wheel like icon which is right at the end of the screen? 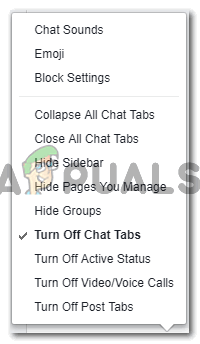 Click on that, this is the options icon for your Facebook chat. This icon is where you will see all the settings options for your Facebook chat. 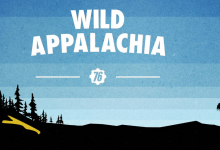 Clicking on this icon will lead you to a list of options to choose from. These are the settings options that appear for your Facebook chat. 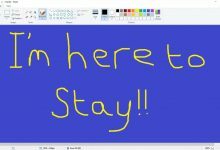 You can close chats, tabs, hide the sidebar, and also change your active status from here. 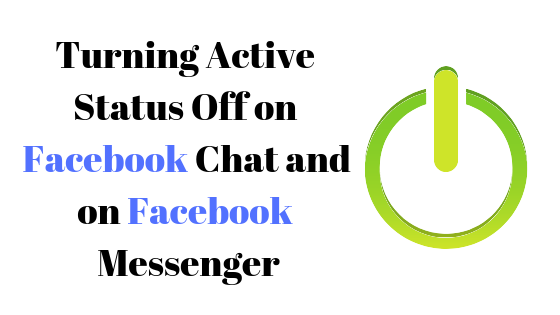 All the options that appear here are actions that you can take for your Facebook chat. 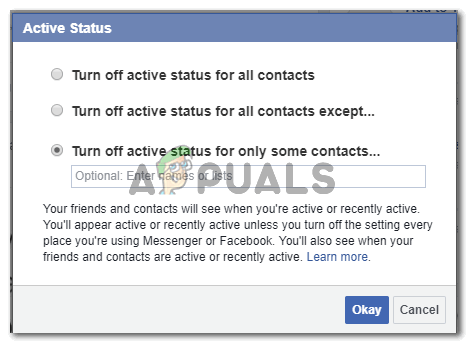 To turn off your Active status on Facebook Chat, you can use the following options, depending on whether you want the entire chat section to be turned off, for all the people on your list or for specific people, or you just want the video call and voice calls to be turned off for a while. I clicked on the option for ‘Turn Off Active Status’, which led me to a dialogue box. Once you have selected the option, you can hit the blue OKAY tab, which will instantly turn off your Active status for all contacts of specific contacts, depending on which option you chose. Your chat bar will now look something like this. With no green circles, as you have turned off your active status. This means you cannot chat with anyone as you appear offline or inactive to all. The method for turning off your Active status from the application would be slightly different since it is an application on your phone. 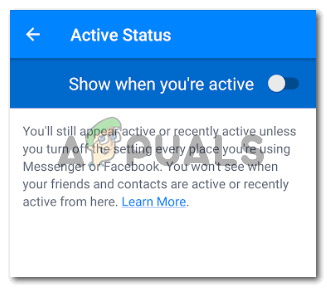 Follow the steps as mentioned below to turn off your Active Status for Facebook Messenger. 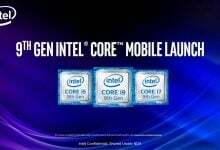 Open Facebook Messenger from your phone. This is how your chat on the application appears. 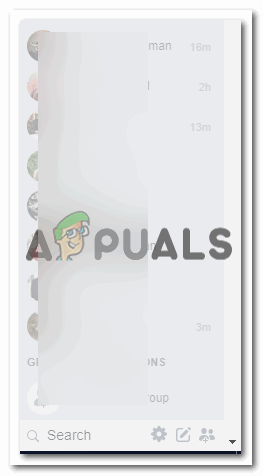 you can view all your online friends here. You need to click on your icon, which is showing your Facebook display picture as shown in the image. 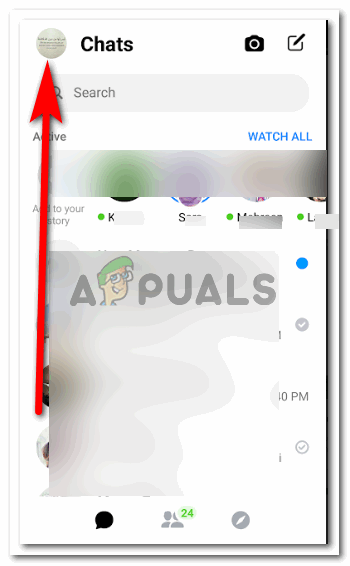 When you click on your icon for the Facebook profile, your facebook code will appear here, along with some other options which could help you keep your chat sorted. To find the active status option, you need to scroll down on this screen. 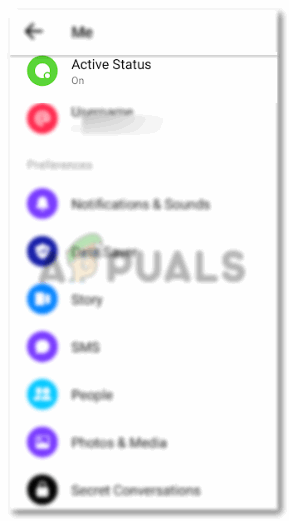 After locating the Active Status heading on this screen, as shown in the image below, tap on this heading for more settings for your active status. 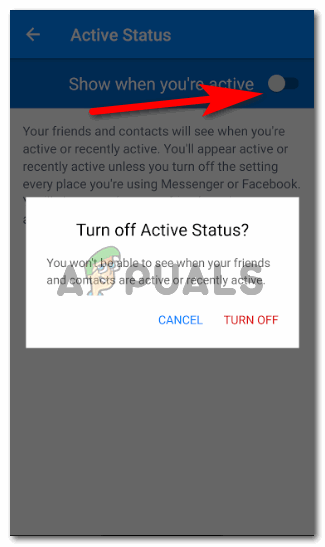 Tapping on ‘Active Status’, as shown in the previous image would lead you to the following screen, where you will find a switch to turn off or turn your Active status on. This is currently switched on. Tap on this icon, or slide it to the left to turn it off. Tap on ‘Turn Off’, to become invisible on Facebook Messenger. This is how your chat appears to you now.